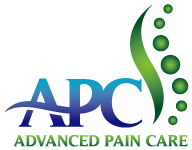 is used on a variety of different nerve locations to cause neural ablation or destruction of nerves that have been identified as “pain generating nerves.” These nerves are the potential cause of your pain. can be considered by the patient. This is a very safe procedure and in this office we have completed thousands of these procedures without any complications. There is always a potential for nerve problems and for nerve injury, but because of using preoperative stimulus and multiple x-ray viewing, we have never had a complication from this procedure.